By 4 April 2018, all organisations with 250 or more employees must publish their gender pay gap information. With just under six months to go, now is the time to put a plan in place for when your organisation is going to report. Reporting your data sooner rather than later shows you’re serious about tackling gender inequality and creating a fairer workplace for all. Gender pay gap reporting is a legal requirement, but the best employers will use it as an opportunity to tackle any barriers to its workforce. The gender pay gap should not to be confused with unequal pay. Unequal pay is the unlawful practice of paying men and women differently for performing the same or similar work, whereas the gender pay gap is a measure of the difference between the average hourly earnings of men and women. Nearly all employers will have a gender pay gap this year, and for most, these gaps will not be the result of unequal pay. The causes of the gender pay gap will vary between sectors and individual companies. For example, we know that women are underrepresented in more senior roles across the national workforce; making up only 35% of higher managerial roles, despite making up almost three-quarters of employees in entry-level positions. Such disparity within an individual business can contribute to a gender pay gap and, critically, leave you with a smaller pool of talent within which to fish. 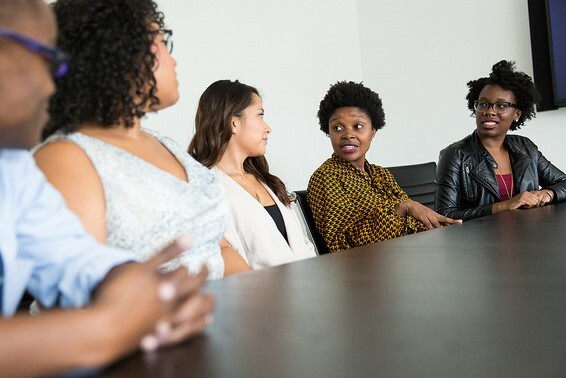 The Women’s Business Council’s recently published a toolkit, ‘The Pipeline Effect’, which sets out simple steps to help more women get into senior roles and address this imbalance; we need women to be represented throughout all levels of leadership within organisations. The Children’s Society has been leading the way and is fulling engaging its staff with its gender pay gap reporting journey. Equality, diversity and inclusion (EDI) manager, Ben Shewry, explains what the team is doing and why it goes beyond compliance with the law. What our comms planning will look like. In our experience, these considerations cannot be underestimated. With a new initiative like this, there is always a discussion to have internally about who is responsible for the project and where it fits into your HR or organisational development planning. It’s not just a simple, standalone statistics exercise, so framing it within an organisational context has been important. There can often be a temptation to hand this to the data lead or team who will fire out one page of statistics to publish with no narrative or messaging about wider implications or action plans. Although this is compliant, it feels at odds with the principles of gender pay gap reporting and wouldn’t sit well with our approach to equality, diversity and inclusion at The Children’s Society. We took the stance that this would be very much an EDI project, carried out with the help of other teams like those involved in HR systems analysis, our pay and grading structures as well as senior leaders that are responsible for relevant key work like our People Plan. This is one of our five organisational priorities and aims to identify how we can become a high performing organisation, with engaged staff who feel supported to achieve all they can for children and young people. As it’s the first year of reporting, negotiating our way through the ‘nuts and bolts’ of the project and ensuring the data we extracted was compliant and rigorously scrutinised took a longer time than one may expect. Key to this was understanding the benefits and limitations of our HR systems in the context of pay gap reporting. Once we carried out a practice run ahead of time, we could then forecast when to roll out our final reporting and decided to work with the Government Equalities Office as an early adopter. We were fortunate to be able to ask them for advice as well as using ACAS guidance, various free webinars and our legal counsel. It’s no secret that gender equality is a topic that can be sensitive and contentious, and understandably so. That’s why we’ve found it important to be open and honest throughout the process, offering further internal communications, blogs and presentations to make sure staff weren’t left uncertain or surprised by the report. It is part of our organisational values to be brave and ambitious. That’s why we wanted to proceed with the report, being within the first 1% to publish while offering all the transparency we could. Further, something that cannot go unmentioned is that it’s been crucial to emphasise the difference between the gender pay gap and equal pay. With the correct preparation in place, we’ve found it a great advantage to adopt the reporting early and wholeheartedly. No two organisations will be the same, but the sooner you analyse your gap and identify the root causes behind it, the sooner you can address it. By publishing an action plan alongside your figures, you can identify tangible steps your organisation is taking to close the gap. This proves to your staff and stakeholders that, rather than simply complying with regulations, you are genuinely committed to achieving gender parity within your organisation. The Government Equalities Office would like to take the opportunity to congratulate The Children’s Society, who have been at the forefront of this agenda. Not only was it one of the first voluntary sector organisations to publish its gender pay gap and action plan, but it also partnered with us at an event, sharing best practice with other organisations. The Children’s Society’s report can be found here. Go to GOV.UK to register and report your gender pay gap data and ACAS for tips and advice on gender pay gap reporting, or contact the ACAS helpline on 0300 123 1150. The Government Equalities Office has created a toolkit for employers who want to address the gender pay gap in their workplace. Image: WoC in Tech Chat, 2017. Jo is a senior policy officer at the Government Equalities Office (GEO). She joined the civil service in 2012 and has worked on a variety of projects. Jo believes that government policy has a crucial role to play in achieving social equality. Her current project is gender pay gap reporting, focusing on supporting businesses with the reporting process and closing their gender pay gaps. Ben is the equality, diversity and inclusion (EDI) manager at The Children’s Society (TCS) where he leads on the development and implementation of their EDI projects and planning. He first joined TCS in 2014 as an HR officer and had previously worked in HR at The Alzheimer’s Society. Ben is passionate about the field of EDI and the positive impact it will have on an organisation when carried out with careful planning. A major cornerstone of this, he says, is engagement and communication.